In my journey writing my blog, sometimes I syndicate my posts to other websites. One of them is CodeProject. What they require is just to submit my RSS feed and put a special link tag. Then they’ll pull my posts that have this special tag. The problem is, by default Hugo only show summary of my article in RSS feed. So when my post is aggregated, it’ll only show the summary of it instead of the full post. Luckily, it can be solved with easy steps. First of all, we need to create an RSS feed template file. Based on Hugo documentation, we can just put the file at /layouts/_default/rss.xml. Secondly, copy the default RSS template from Hugo site https://gohugo.io/templates/rss/#the-embedded-rss-xml into it. The following snippet is the default RSS template provided by Hugo. Lastly, Find the <description> tag, it’s the child node of <item> tag. By default it’s written with .Summary. Now we just need to replace it with .Content. That’s it. Now your Hugo site will show full content in its RSS feed. This is the end result for rss.xml file for anyone who just want to copy and paste it. Thanks for reading. 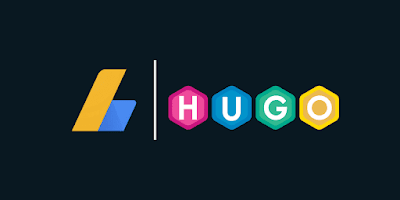 I’ll be writing more about Hugo template hack next time.